Howard University was founded in 1867 and in 2013 was ranked by U.S. News and World Report as one of the best National Universities in the country. Students can choose from over 120 areas of study and 80 majors to earn their degree. Students at Howard University will find a welcoming environment at this historically black college. Howard University attracts the nation’s top students and graduates more on-campus African-American Ph.D.s than any other university in the world. Classes have fewer than 20 students, so students will have the opportunity to receive individual attention from instructors. Since 1998, the University has produced a Rhodes Scholar, a Truman Scholar, six Fulbright Scholars and nine Pickering Fellows. 90% of students are able to acquire financial aid. 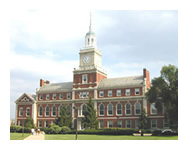 Howard University is accredited by the Middle States Commission on Higher Education (3624 Market Street, Philadelphia, PA 19104; (267) 284-5000; www.msche.org). 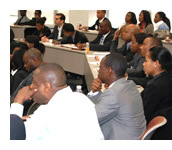 Howard University School of Business was the first business school in Washington, DC to be accredited by the Association of Advance Collegiate Schools of Business (AACSB), the international accrediting body for both undergraduate and graduate business programs.